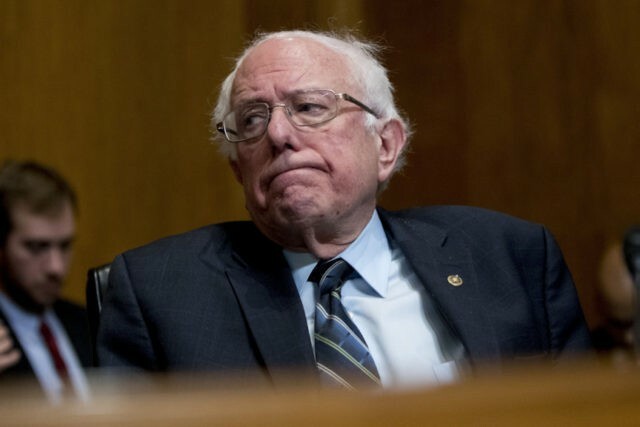 2020 presidential candidate Sen. Bernie Sanders (I-VT) appeared alongside local religious leaders at a Los Angeles-area Islamic center on Saturday and said in his remarks that the United States is going through a “difficult moment” in its history due to the rise in hate crimes. “In this difficult moment, not only in American history where we see a rise in hate crimes, and not only in a world where we see a growing tendency toward authoritarianism, where demagogues are picking on minority communities all over this world, now is the time … for us to stand up to hatred of all kinds,” Sanders said as part of his remarks at the Islamic Center of Southern California on last week’s deadly New Zealand mosque shootings, according to The Hill. “To show the world that this nation in fact will be a leader in bringing our people together regardless of their religion, and to create an economy that works for all of us, an environment that works for all of us, and a world in which love will conquer hate,” he went on. According to Sanders campaign, the Independent Vermont lawmaker is the first presidential candidate to visit a mosque following the shooting. On March 15th, 50 people were shot dead and 50 wounded in an attack on two mosques in Christchurch, New Zealand.